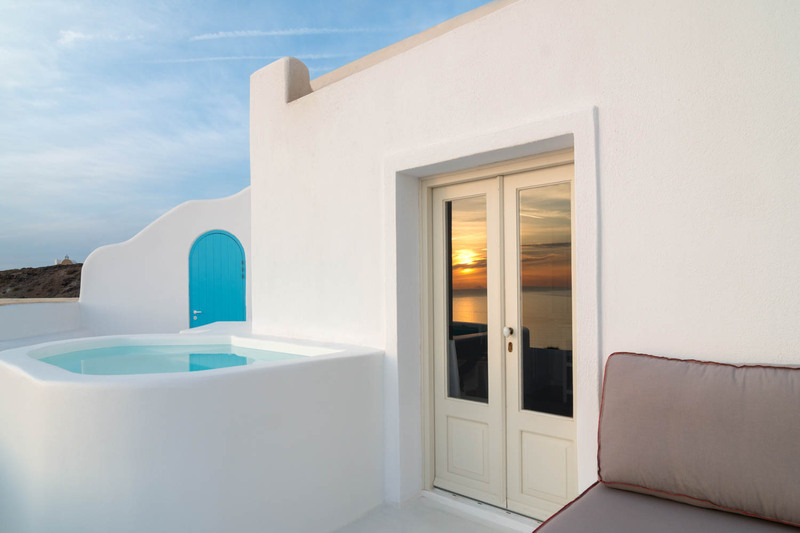 Inspired by the minimalistic Cycladic architectural, Ode villa is one of the most marvelous houses on the ancient caldera of Santorini. It is your house for the staying time and I John am your Greek friend in the island. 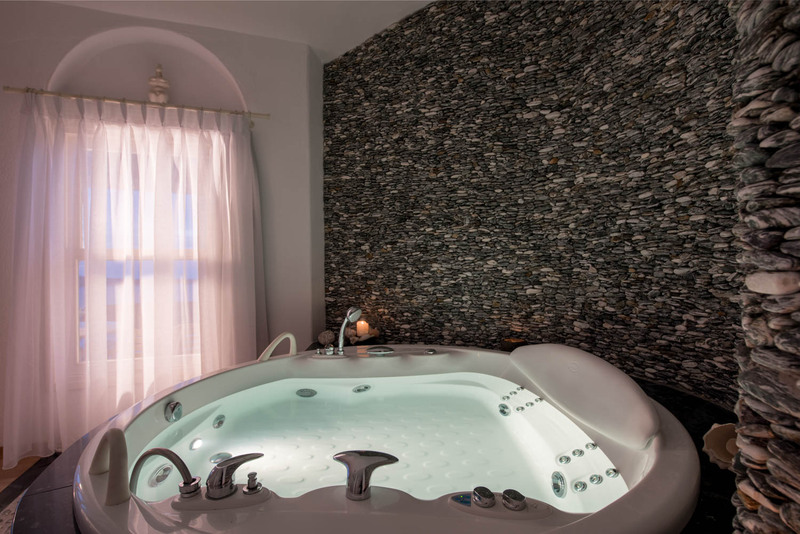 Along with my coworkers we are determinate to make your staying a memorable one and we go to great lengths to satisfy you every time.We here to ensure that you will have a life-time experience in total comfort.It is not just the unique accommodation we provide but we are acting as the curators to customize the experience. We respect our customers and we treat them as our friends.We warmly invite you to Ode. Welcome! 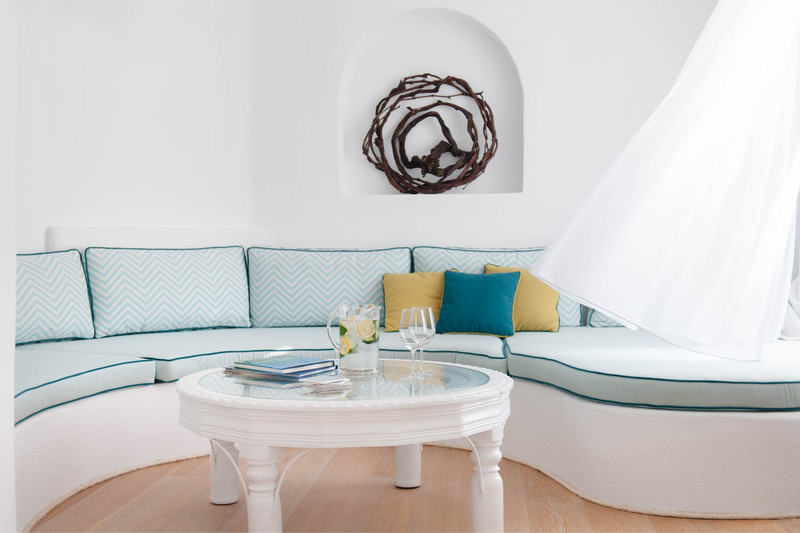 An Ode to serenity, An Ode to blue sky, An ode to the Eternal Greek light . If you are in a quest of a place to soothe your senses, we invite you to Ode villa if you are seeking the sense of freedom, our incomparable 100 sq m veranda with the pool, is the best way to release your stress and to relax. Take a glass of a unique Santorinian “nykteri” wine and catch one of the most truly memorable sunset you’re ever seen. 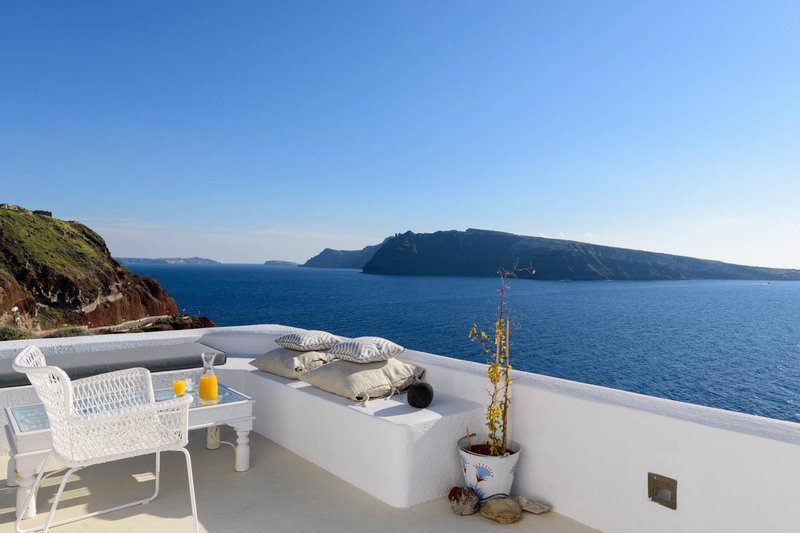 In the morning wake up and you will face from your bed a bedazzling view to the indigo of Aegean sea. Open the window and smell the fine notes of the mysterious Pelagus and the volcanic alluring earth. 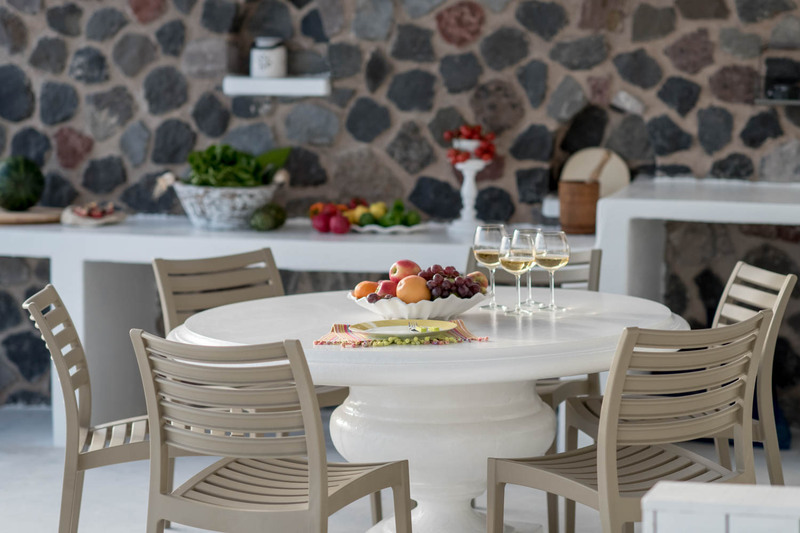 The entire Ode villa has been bio-resonance by specialists, so it can provide you with the right positive energy level to uplift you soul and mind. 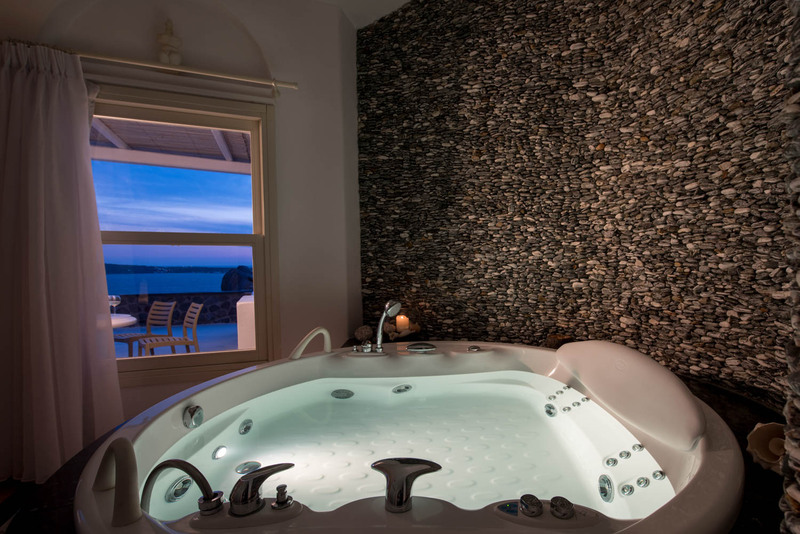 That is a unique privilege of Ode villa which no other premise in Santorini Island maintain. Simply put… it’s amazingly unique! Ode villa is a 180sq.m. luxury 3 bedroom villa, consisting of 2 floors, connecting by elevator, It accommodates up to 8 persons. At the large outdoor space, there is a swimming pool, dining area with barbeque, sofas and sunbeds for our guests to relax. 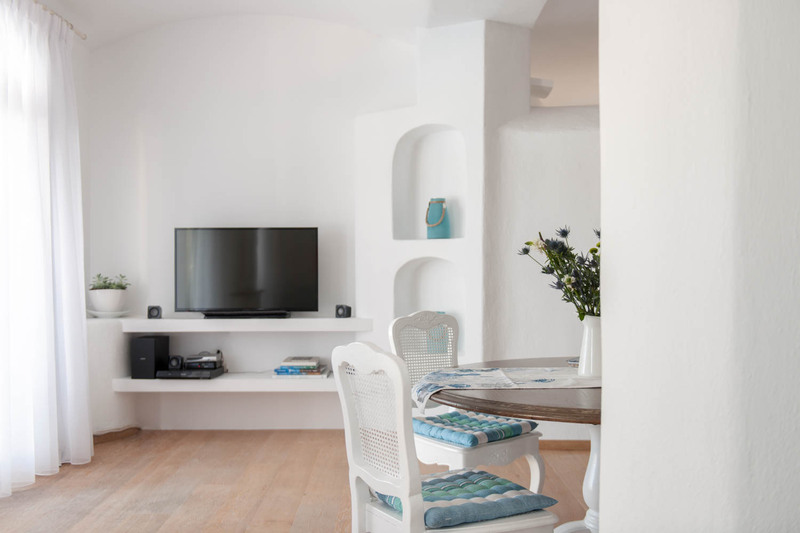 This is a 50 sq meters suite and is divided in two areas. In the bed room, with the king size anatomic bed. All the members of the stuff, and personally me, we have made the Ode Villa, to be the Ode of Joy which will follow you throughout your stay, so to make this vacation to be the best memory of your life. See the amazing collection of photos from the villa and be enchanted by our terrific creation! ODE is the name of Lyric Poetry, by the ancient Greeks. This poetry was giving praise and was glorifying great events at those days, like Pindar, the ancient poet, did. He wrote the Ode to the Winners of the Olympic Games. Much later, the German poet Friedrich Schiller wrote the Ode to Joy (an die Freude), and was set to music by Ludwig van Beethoven. Odesantorini.com © 2018 | Design and Development with by Webartstudio.gr | All rights reserved!